Most schools, sporting clubs and not for profit organisations are continually looking for ways to raise money for the causes they support. 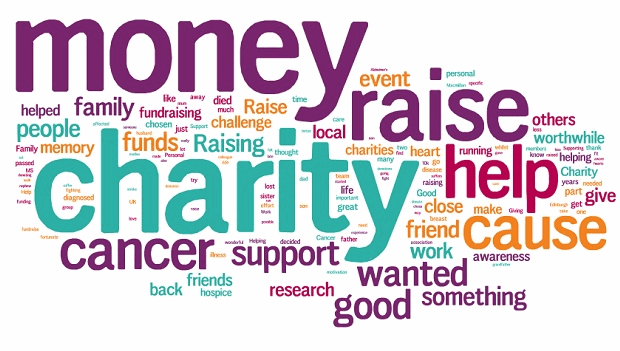 We are proud to offer an all natural, financially rewarding fundraising alternative to you which will support your cause, whilst being beneficial to your members and friends. You no longer need to rely on selling sugar filled chocolate bars to achieve your FUNDRAISING goals! Ozzie Therapeutic Products is an Australian based Perth company manufacturing natural essential oil products, safe for your whole family. Two of our products are the popular, highly effective insect repellents Ozzie Mozzie and Ozzie Fly Repellent. Both insect repellents are chemical free and contain no harmful chemicals such as DEET and are suitable for children, adults and animals alike! That’s the power of the all natural essential oils we use, inspired by nature and enabling safe and effective use for a wide variety of users. Ozzie Cold & Flu Relief is a highly effective, all natural cold and flu spray, assisting with the relief of throat, nasal and chest congestion, safe to use on your little ones and a fantastic alternative to applying potentially harmful chemical and petroleum based flu remedies on your children. For sporting groups, you will love our Ozzie Muscle Relief Oil. Apply before and after strenuous exercise to warm your muscles in preparation and to treat tired and sore muscles after exercise. As our products are all natural, Ozzie Muscle Relief Oil is safe to use on your children for their sporting activities. One of our most popular products for adults is Ozzie Anti-Flam. Ozzie Anti-Flam is scientifically proven to relieve inflammation by up to 75% and is ideal for sufferers of Arthritis, Bursitis, Tendinitis, Sciatica, period pain, muscle aches and sprains. Ladies wearing high heels will also feel the benefit of applying Ozzie Anti-Flam prior to going out and when you come home and your feet are aching. The Ozzie Therapeutic Range sells for $17.95 online and in retail outlets and pharmacies, however we are happy to offer a healthy discount to your friends and family via Ozzie FUNDRAISING! We supply to you (on consignment), as many Ozzie Therapeutic Products as you believe you can sell for a period of two weeks. You can then allocate to your members, who can sell each bottle to their friends and family for only $15.00 each (not $17.95 RRP) which is a huge incentive for your FUNDRAISING community! From each bottle sold, your school, club or Not For Profit organisation retains $5.00. So from each box of 20, your organisation earns $100.00! If you have 200 members and each member sells an average of 10 bottles (say 5 of each), your organisation would earn $10,000.00. We have forms which can assist in the administrative aspect and would also be happy to attend a briefing session to educate all those involved.